Rancho Murieta residents are invited to register here on the official Rancho Murieta Association web site. Registration will provide you with access to "residents only" areas of the web site and will allow you the option of receiving emails from The Rancho Murieta Association on items of importance to residents and members. Click the Members Sign In link in the menu bar above to register and get instant access to the full members site. Rancho Murieta is a premier planned development and gated golf community located in the Sierra Foothills East of Sacramento. Its 3,500 acres boast Heritage Oak trees, rolling hills rich in wildlife, lakes full of fish, and two 18-hole championship golf courses. Rancho Murieta is only 25 miles from downtown Sacramento, yet maintains a small-town, country charm. There is a wide variety of recreational opportunities available, such as golfing, tennis, fishing, bicycling, organized children's sports, equine events and flying. Local farmers offer fresh produce year-round. Rancho Murieta's children attend the award-winning Elk Grove Unified School District. The Rancho Murieta Airport has charter service throughout the continental United States, Alaska and Mexico. 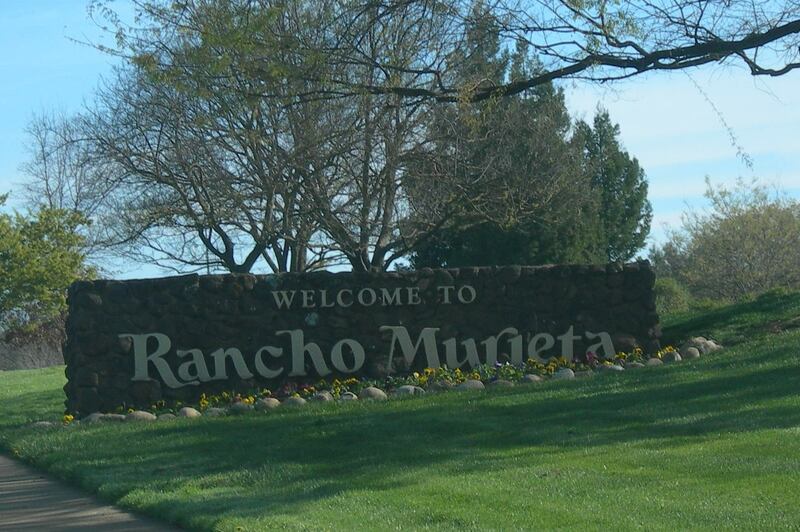 Rancho Murieta is governed and served by several elected bodies - Rancho Murieta Association, the Rancho Murieta Community Services District, Murieta Townhomes, Inc. and the Villas of Rancho Murieta Homeowners Association. Rancho Murieta has developed steadily for the past 30+ years (recently adding bocce ball courts, two community gardens, a dog park, and a pump track), with an emphasis on preserving an unparalleled quality of life, and continues to be one of the best kept secrets in Northern California. No matter what stage in life you find yourself, it's great to be a part of this wonderful community, with its unique sense of home. It's the people who live here that make Rancho Murieta the special place that it is.